We are a family-owned Ayurveda and Panchakarma Clinic & Day Spa located in the beautiful city of Asheville, and surrounded by the Blue Ridge Mountains of Western North Carolina. It maintains a close relationship with our clients and offer individualized Ayurvedic health care, Ayurvedic therapies, and Panchakarma, with great attention to personal customer service. Client health is their commitment. The treatments offered by this centre are: Abhyanga, Shirodhara, Swedana, Nadi Swedana, Localized Steam Therapy for Pain Relief, Marma Chikitsa, Shiro Abhyanga + Nasya, Ayurvedic Head Massage & Nasal TherapyNabhi, Basti or Chakra Basti, Marma Massage, Netra Basti, Pinda Sweda (Swedana) and VigorKati Basti. Vishnu Dass (NTS, LMT, CAyu) started studying Ayurveda in 1992 under the guidance of Dr. Vasant Lad, world renowned Ayurvedic physician and teacher (on the picture at left, visiting our clinic in May 2009). 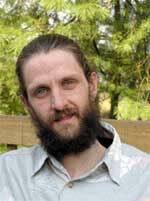 He graduated from the Advanced Studies and Clinical Program at the Ayurvedic Institute in Albuquerque, NM, and worked for the Panchakarma Department of the Institute while finishing his studies. He is also a graduate from the New Mexico School of Natural Therapeutics and a former Board Member of the National Ayurvedic Medical Association (NAMA). His holistic approach enables him to create individualized programs, specifically tailored to your particular needs, integrating into your Ayurvedic consultation nutritional and lifestyle counseling, herbal nutrition, marma therapy, as well as other Ayurvedic therapies, and weight management programs, depending on your specific situation, goals, and needs. He is clinically trained to offer full Panchakarma programs and Panchakarma therapies, and personally guides and supervises your process throughout your treatments. Vishnu Dass also offers lectures and workshops on Ayurveda and yoga philosophy for various herb schools and yoga centers throughout the South East, and has published several articles on Ayurveda and yoga, both on local and national publications, such as Light on Ayurveda Journal and Integrative Health and Healing, amongst others. Some of the best massage therapists in Asheville work with us, either doing therapeutic massage or assisting with Ayurvedic Therapies: Wendy Woerner, Deb Barnett, Rachel Horn, Cornelis Swarttow, and Kristina Williams. We can provide accommodations during your Panchakarma program in a single occupancy room with a private street access. It is like having your own private studio while remaining within the nurturing, healing atmosphere of our clinic and having the convenience of being in quaint West Asheville, surrounded by the Blue Ridge Mountains. The atmosphere here is conducive to introspection, meditation and healing (no TV, internet, etc.). Relaxing music and positive, spiritual books are available in your room. More music and books can also be purchased at our store. 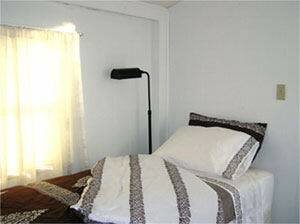 Cost for Panchakarma Lodging at Blue Lotus Ayurveda/per night is $45. It includes the use of our kitchen, bathrooms, dining area, and one of our therapy rooms for yoga and meditation, when not in use. Abhyanga Plus $105 w/1 Therapist $125 w/2 Therapists. Ayurvedic Sacred Bliss Package $140. Ayurvedic Rasayana Day Spa Package $155. Ayurvedic Rasayana Day Spa Plus $190. One Day Panchakarma Sampler $360. Ayurvedic Health Consultation - $130 + cost of herbs. Seasonal Special - Acute Health Consultation for New Clients - $75 + cost of herbs. Consultation for Children under 12 - $100 + cost of herbs. Abhyanga: Ayurvedic Warm Oil Massage-Performed by 1 or 2 therapists with specialized strokes-and Ayurvedic herbal oils-$75 with 1 therapist & $95 with 2 therapists. Abhyanga Plus: Abhyanga (Warm oil massage) with 1 or 2 therapists - + Bashpa Swedana (full herbal steam) + Udvartana (herbal scrub/dusting) for a relaxing and refreshing experience - $105 with 1 therapist & $125 with 2 therapists. Shila Abhyanga: Ayurvedic Hot Stone Massage - (aka Sacred Stone Therapy) with Ayurvedic herbal oils - $80. Shiro Abhyanga + Nasya: Ayurvedic Head Massage - Incorporates nasal therapy and foot reflexology to clear all - head passages, relieving head, shoulder and sinus problems - $60. 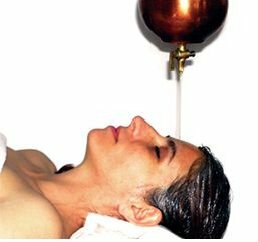 Shirodhara: Bliss Therapy for mental rejuvenation - A blissful therapy to nourish the nervous system and bring - overall clarity and peace - $75. 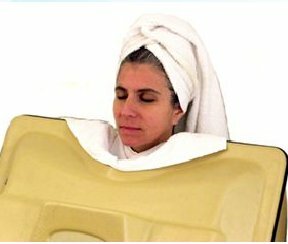 Nadi Swedana: Localized herbal steam to relieve pain - This therapy is integrated into a 1-hour Therapeutic Massage -to promote flexibility and relieve pain in specific areas - $70. Abhyanga + Pinda Sweda: A combination of specialized therapies to restore strength and vigor, especially recommended for nervous system imbalances - $150. Marma Chikitsa: Energy Point Therapy - Ayurvedic 'Acupressure' with essential oils integrated into - a therapeutic massage and passive yoga therapy - $65. Marma Massage: Invigorating Ayurvedic Massage - An energizing Ayurvedic massage focused on main - energy points to promote energy and blood circulation - $65. Netra Basti: Herbal Therapy for Eye Rejuvenation - $60. Kati Basti: Herbal Therapy for Lumbo-Sacral Discomfort - $60. Nabhi Basti: Herbal Therapy for Digestion & Emotional Release - $60. Hrud (Uro) Basti: Herbal Therapy for Heart Support - $60. Rasayana Day Spa - A 2-hour package including 3 Ayurvedic therapies: Abhyanga with 1 or 2 therapists + Bashpa Swedana + Shirodhara - $155. Rasayana Day Spa Plus - A three-hour package with 5 therapies for total rejuvenation - Abhyanga with 1 or 2 therapists + Bashpa Swedana + Shirodhara + Udvartana + Nadi Swedana - $190. Ayurvedic Sacred Bliss Spa - Two hours of bliss with our Ayurvedic Hot Stone Massage + Shirodhara - $140. One Day Panchakarma Sampler - Includes a health consultation + personalized diet & lifestyle plan + Abhyanga + Bashpa Swedana + Shirodhara + Udvartana + Warm Shower + Ayurvedic Lunch - $360. 5-Day Panchakarma - Deep Detox & Rejuvenation Program - $1,800. 8-Day Panchakarma - Deep Detox & Rejuvenation Program - $2,880. 12-Day Panchakarma - Deep Detox & Rejuvenation Program - $4,320. 1 hr. Therapeutic Massage - A blend of Swedish and Deep Tissue Massage, or other specific technique, as per your request - $65. 1-1/2 hrs. Therapeutic Massage - $100. 1-1/2 hrs. Therapeutic Massage + Nadi Swedana - Localized herbal steam for pain relief integrated into a massage - $110. Energy Point Therapy: Marma Chikitsa - Ayurvedic 'Acupressure' for vitality - $65. Private Ayurvedic Yoga Therapy or Ayurvedic Yoga - Instruction specific to your body type - $60. Private Meditation or Pranayama – Instruction - $60. 5-Hour Workshops (lunch included) - $50/person. Private Cooking Class during Panchakarma - Learn to prepare Ayurvedic meals to help you heal - $30/person. Lodging during Panchakarma - Single occupancy room with a private street entrance - $45/night. Address: 822 Haywood Road - Asheville, North Carolina, USA. The Rama Varier Memorial Hospital, Western Ghats, Coimbatore, Tamilnadu.